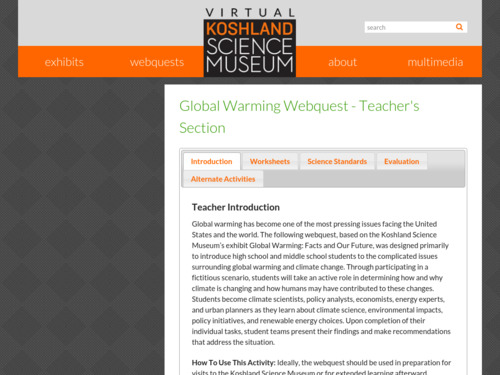 In this Webquest activity, students assume roles of scientist, business leader, or policy maker. 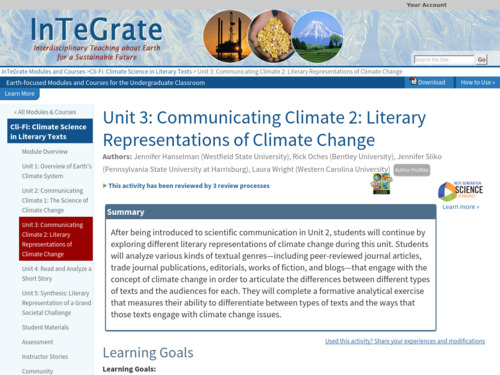 The students then collaborate as part of a climate action team and learn how society and the environment might be impacted by global warming. They explore the decision making process regarding issues of climate change, energy use, and available policy options. 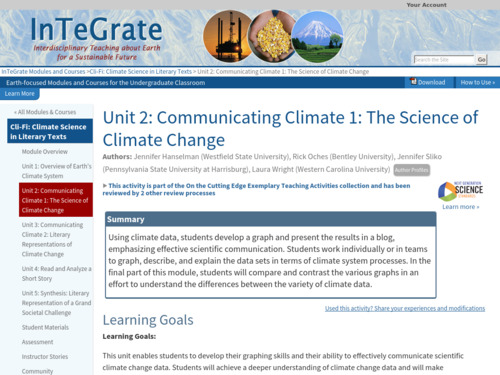 Student teams investigate how and why climate is changing and how humans may have contributed to these changes. Upon completion of their individual tasks, student teams present their findings and make recommendations that address the situation.